No one likes job costs that increase. That can be said with confidence! Our team is committed to exhausting every possible effort before construction begins to create a solid budget. The good news is that a lot of our sub-contractors can give us what we would consider a firm estimate that will not vary in cost. These line items in a budget very rarely have any variances to the original budget. However, some of the work that is done on the job site can only be estimated with the most educated guess before construction begins. Why is this? Let’s start from the ground up. Installing home utilities such as installing a well, connecting to public water, installing a septic system, public sewer connection, and bringing power to a property….all of these tasks can lead to unforeseen obstacles. The only true way to know the cost is when the work commences. We are fortunate to have a team of true professionals when it comes to the installation of these infrastructure items. They take every precaution available to avoid additional costs to our home owners, but when it is unavoidable, they communicate up front so that all parties are aware of the additional expenses. We take the time to slow down and deal with the variance the right way. Other items in which we might see job costs variances are excavation, foundations, and road construction. Until we break ground our estimated cost is based on the analysis of the land that was available. Call it our very best educated guess. 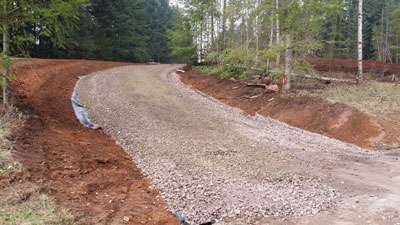 Unstable soils, fill dirt, large boulders, ground water, etc. can affect the amount of excavation needed and the cost to do so. In the event that we need to dig deeper to be on solid ground, our foundation costs go up and a domino effect happens. 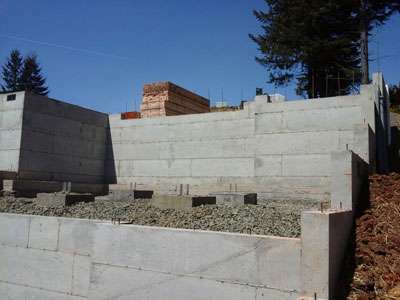 Adjusting the depth and height of a foundation can also lead to additional expenses like engineering, deck material, siding material, additional plumbing, etc. Yes, variances happen. In a perfect world they would be avoidable, but that isn’t reality. Rather than ignore it, we learn from the variances and take all the necessary precautions to avoid them in the future. Our number one focus at all times it to be patient and pragmatic in our approach to variances.